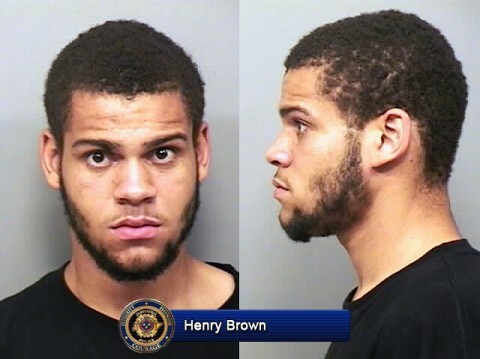 Clarksville, TN – On February 6th, 2012, around 4:40pm, after a short foot pursuit, Henry Jerome Brown was taken in custody by the Dickson Police Department at an apartment complex on Barbeque Road. He is awaiting extradition to Kentucky. Clarksville Police are still looking for Christopher Walker, and Justin Horstead. Clarksville, TN – Clarksville Police are looking for three men in conjunction with a Robbery in Hopkinsville on January 30th, 2011 which resulted in a vehicle pursuit and an exchange of gunfire between an Oak Grove Officer and the Robbery suspects. 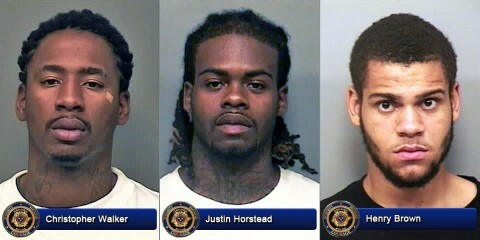 All three men have warrants pending in both Tennessee and Kentucky. Clarksville Police are looking for Christopher Walker, Justin Horstead, and Henry Brown.